DEL - new second daily flight to be routed via BKK with 5th freedom traffic rights instead of being flown nonstop. Both DEL flights though continue to see A 333s being used. BOM - capacity adjusted i.e. daily B 744 HKG-BOM-DXB + 3 weekly HKG-BKK-DXB using a B 773A. Previously HKG-BKK-BOM-DXB operation was a daily service using a B 744. CDG - frequencies increased to double daily flights i.e. daily B 744 + daily A 343 from 10 weekly. LAX - capacity increased to 11 weekly B 744s + 3 weekly B 773ERs from double daily B 773ERs. PVG - through the take over of Dragonair, frequencies will now show 3 daily flights operated with CX flight numbers using an A 333 double daily + daily B 773. DEL - frequencies increased from 10 weekly to double daily nonstop flights i.e. 10 weekly B 772As + 4 weekly A 333s. BOM - frequencies increased from 10 weekly to double daily nonstop flights i.e. 11 weekly A 333s + 3 weekly AB6s. LHE - 5 weekly service reinstated. KHI - 4 weekly nonstop terminator services reinstated. SIN - effective immediately, capacity reduced with double daily A 346s + daily A 333 service. Also daily same plane SIN-BKK-LHR to be introduced with A 346 valid till end March. Effective April, SIN sees an increase with 4 daily flights operating using a mixture of A 333s/AB6s/B 777s and A 346s. LHR - capacity increased to double daily B 744s from daily A 346 + daily B 744. PEK - 2nd daily flight reinstated. MCT - 3 weekly nonstop terminator services reinstated. JNB - all flights suspended. CGP - all flights suspended. MAD - third weekly flight reinstated. FRA - double daily flights reinstated. CAN - 2nd daily flight reinstated. 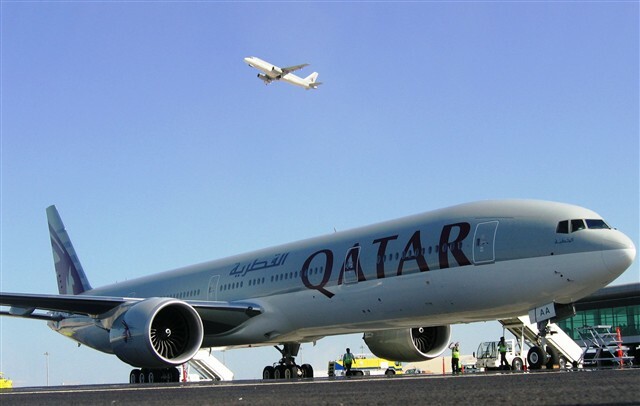 Qatar Airways has confirmed that it will be increasing its flights to ARN-Stockholm from Aug 29th with the addition of a 5th weekly flight using an A 319LR. The main type of pax that QR get from ARN are those bound to BKK, KUL, China, Dubai and Pakistan via DOH. Aeroflot of Russia will be suspending all of its Moscow-Toronto flights that operate currently 4 times a week using a Boeing 767-300ER effective March 29th. The bulk of SU's traffic on this sector was bound to DEL and BOM and though no official reason has been cited, it has to do with low yielding traffic that Aeroflot used to primarily get on this route along with high landing costs at YYZ airport. SFO - capacity reduced from 10 weekly B 773ER operated flights to daily B 773ERs + 3 weekly B 744 Combis. LAX - frequencies increased to 17 weekly nonstop flights all using a B 773ER. NRT/PVG - capacity reduced from daily B 744 to daily A 332. NRT/HKG - capacity reduced from daily B 744 to daily A 333. NRT/BKK - capacity reduced from daily A 333 to daily B 752. NRT/ICN - capacity reduced from daily A 332 to daily B 757. JFK/TLV - capacity increased from daily B 763ER to daily B 772ER eff June. JFK/SVO - capacity increased from daily B 763ER to daily B 764ER. JFK/GRU - capacity increased from daily B 763ER to daily B 764ER eff July. ATL/PVG - aircraft payload increased from June 6th by using a B 772LR instead of -200ER. This will enable a full payload of pax + cargo to be carried in both directions. ATL/CPH - capacity increased from June 1st with B 764ER replacing B 763ER. ATL/DXB - aircraft payload increased from April 4th by using a B 772LR instead of -200ER. This will enable a full payload of pax + cargo to be carried in both directions. 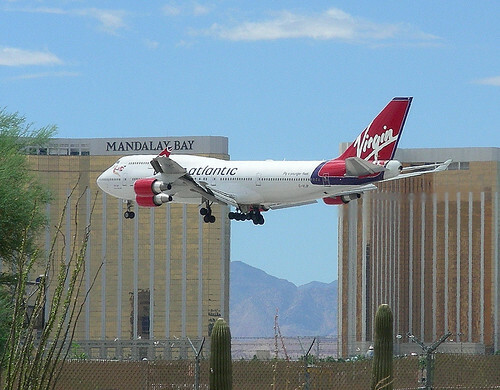 Virgin Atlantic has confirmed that it will be reducing its frequencies between June and September to BOM-Mumbai, India from its London Heathrow hub. Currently, flights are flown daily nonstop using an A 340-300, however from June they will be reduced to 5 weekly flights only. VS and Kingfisher should seriously look into a code sharing arrangement where by VS code shares on KF's BLR-LHR flights and KF code shares with VS on their DEL-LHR flight. This will give both carriers access to 3 key India-UK markets rather than rely on serving them using their own aircraft and wasting money. Both airlines should also look into the possibility of code sharing to EWR from LHR on VS 18 and VS 7 as these flights connect nicely with both VS and IT's UK-India-UK flights in both directions. 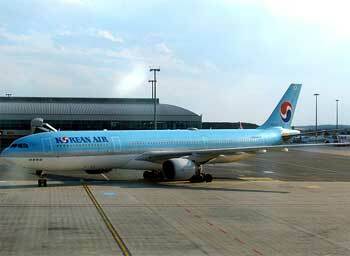 Korean Air will be reducing capacity and frequency to Auckland and Brisbane effective immediately to cope with lower than forecasted demand for the upcoming low season. AKL sees a reduction in frequency from daily to 5 weekly flights flown using a B 772ER where as BNE witnesses a reduction in frequency as well from 5 to 4 weekly flights using an A 333. Kingfisher Airlines has revealed on major GDS systems that it will be launching new daily flights to Dubai flown nonstop from its Bangalore home base effective February 8th. It will be using an A 320-200 for this route which is an Air Deccan aircraft configured to seat 180 passengers in an all economy class configuration only. The airline also revealed through the GDS system that its plan to launch BOM-SIN and BOM-HKG flights flown daily each respectively have been postponded indefinitely. This is a bad move by KF with regards to using an Air Deccan A 320 for the BLR-DXB route. An all economy class (Deccan aircraft) A 320 is fine for routes such as BLR-MCT/DOH/AUH but not DXB as it is sized premium market from the major metro cities in India which include BLR. KF need to use their own A 320 or A 321 preferably for this sector also because the in-flight product in both J and Y class can give EK a good run for their money on this sector. Air New Zealand and Dubai Aviation Enterprises (DAE) have officially announced that the two parties have signed an agreement to dry lease 2 new Boeing 777-300ERs. These aircraft will be used to gradually replace NZ's fleet of B 744s from next winter onwards.